This is going to be a quick and easy tour because that is a central idea that we have when it comes to customer feedback. That is what the Feedback Revolution is all about. If it’s quick and easy for your customers, they will generate more feedback. If reviewing the customer feedback is quick and easy you are more likely to use it! We have combined this cutting edge technology with cutting edge research out of Harvard that found that if a person will risk their reputation they will continue to do business with a company and tell their friends about them. Reputation is something that people value most. Feedback Revolution QR has brought together the best in methodology, technology and research to collect customer feedback. Here are the simple steps. SIGN-UP: Your company signs up… that was easy! CREATE: You enter a few business details and your customer QR code and URL are created. SHARE: Now you share it with your customers and start gathering valuable, actionable, real time feedback! What does the customer need to do? Just as easy! 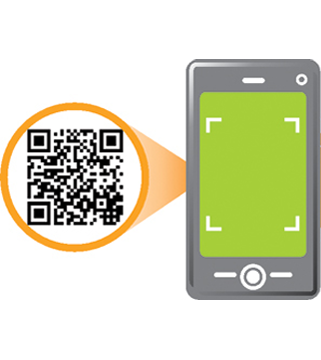 SEE & SCAN: They see your QR and they scan it! They answer the BRIEF survey, usually only 5 customer feedback questions. They can type in responses on their phone or just speak their feedback. 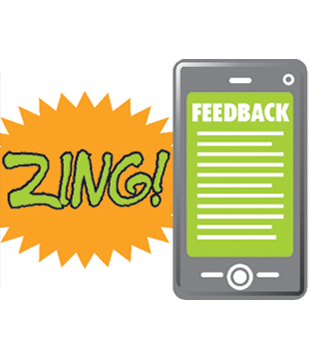 Now ZING… you have real time, actionable feedback that you can use to improve your business and your guests’ experience. Customers simply… Scan and share their feedback! It’s revolutionary!